What if Percy really knew who he was before he arrived at Camp Half-blood? Percy Jackson was adopted by Aurelius the golden (OC) Second eldest Son of Kronos, forgotten by mankind at the young age. He holds a great amount of resentment towards Poseidon as Poseidon has left Percy and his Mom alone all by themselves without a second thought.... Will he ever forgive Poseidon? What could ever happen while he is at camp? P.S. I love to read people's comments!! Hello everyone! I don't know why I'm so happy, I lost many friends in the Titan and Giant war. I'm the champion of Nyx, Erebros, Ather, Eros, Chaos, ect. Also I was the Son Poseidon now I'm not. My half brother took everything from me without trying to do anything. I was betrayed by everyone. My name use to be Percy, now its Omega and Isandro. A being born from the Five Rivers of the Underworld, stronger than most gods, Feared by many. Always hiding, always there. An immortal being that carries out the will of the Rivers. Stronger than a First-Born of a god. Much stronger. He is made of the Essence of the rivers. But he was not always like this. He was once a demigod, the most powerful demigod. He was respected by many and feared by his many enemies. But a hero's fate is always tragic. His fate was no different and he became someone else. He is now Raze,  the Champion and Heart of the Rivers, a deity in his own right. But who was he? This ill fated hero? That was Perseus Jackson, Hero of Olympus. The greatest hero to walk the Earth. But fate is cruel. He is now Raze, the immortal bringer of Judgement. You can call him Raze, but only Raze. If you call him Percy, consider yourself lucky if he doesn't respond. Because much worse could happen to you. Much worse. He has changed a lot and it is their fault. They want him back? It has been 5 000 years. Now Void is back and worse then he has ever been. People of earth doesn't know of his cruelty. Chaos has had enough, this must stop. He informs his soldiers and Earth's mythical people about it. Will the war be stopped? What about Order inside Void? @tinstlety wrote the first book. She said there would be a second book, but sadly, it never came out. I, an adoring fan of tinstlety's book, decided to write a sequel. Make sure to read tinstlety's awesome book before you start on this one!!! 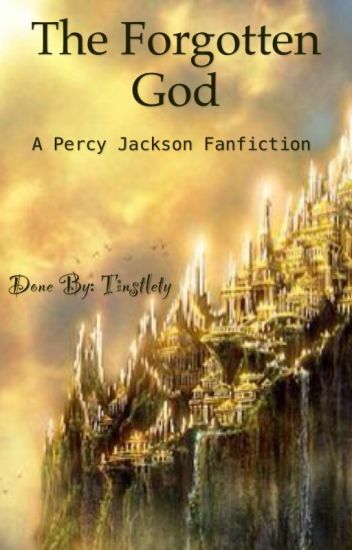 Description: Percy Jackson was adopted by Aurelius, a long-forgotten god. Aurelius holds a great amount of resentment towards Poseidon as he had left Percy and his Mom all alone by themselves with Smelly Gabe without a second thought. Will he ever forgive Poseidon? What will happen to Percy Jackson? Is Percy happy? Most likely the opposite...      Will the greatest Hero finally crack and do something rash? Who knows what the fates have in store? Annabeth leaves Percy for another guy. When the gods once again offer him immortality, Percy Accepts. what will happen? Read to find out. Obviously I'm not Rick Riordan so I only own my ocs and the plot. Note, This is the old version of this story and it was the first story I ever completed, I am currently rewriting it since I believe my writing has gotten better since I first wrote it and I want to fix the errors that it has. For the new version, I changed the title to the new god. After the final Battle Percy Jackson has saved the Olympians and the world. To show their gratefulness Zeus gave Percy a wish to become a god. As we all know know Percy declined. What happens though when Percy is forced to accept immortality? You probably know of how the universe started. First there was Void, then Void had children, Order and Chaos. Chaos had children, which were the primordials Gaea, Ouranos, Thalassa, Pontus, Nyx, Erebus, Hydros,Chronus, Ourea and Tartarus. Nyx and Erebus had Aether and Hemera. Guess what, it's not only them. Everyone forgot about him. Everyone forgot about his sacrifice. Everyone forgot about the other universes.